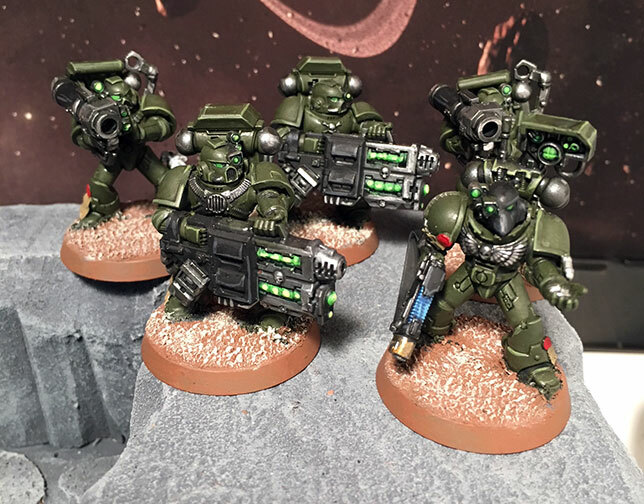 Warhammer 40,000 – Space Marine Scouts, Devastators and Tactical Marines join the fight. This group will join the other groups of Raptors I've painted in my clients "all-infantry" Space Marine force. 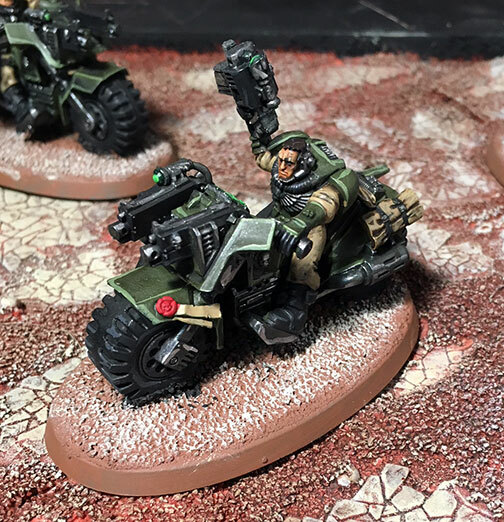 I think it's a cool idea and it will make full use of the Chapter Tactics and special rules available to the Raven Guard/Raptors. I'm not sold on the heavy weapon choices but I can see how they'll be useful in more situations than the overkill of all lascannons all the time. I really think my issue is grav cannons are very expensive and no-where near as powerful as they were last edition. 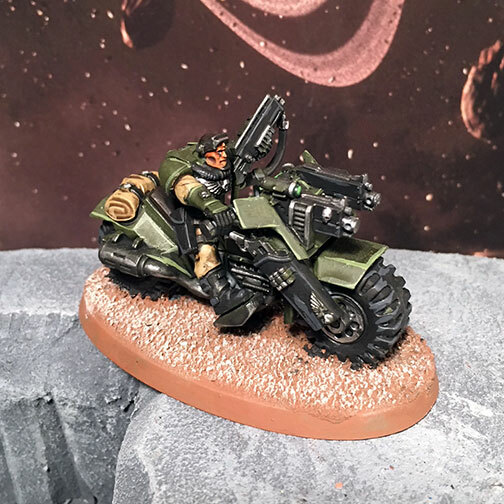 Space Marine Scouts are really good. Fast and loaded with a variety of weapons they will be a constant thorn in their enemies side. 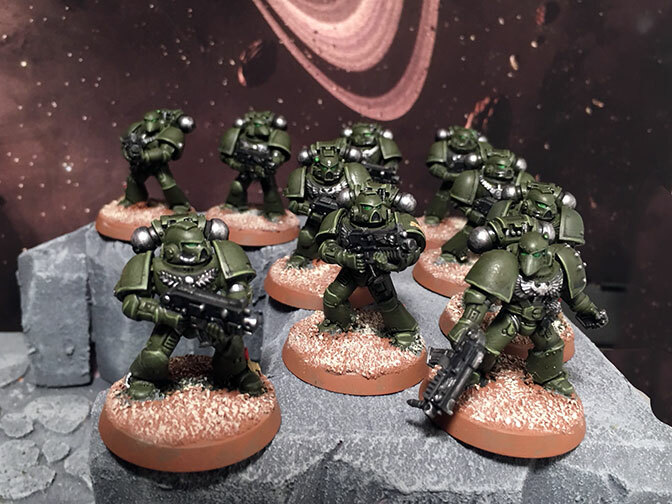 Rounding out this batch are ten basic bolter Tactical Maines. I don't have squad markings on these guys because they'll spend most of their lives as extra wounds for the Dev squads since the force has the three scout squads that I painted previously to fill in the troop slot.